Primitive Antique Vintage Calumet Baking Powder Pie Plate 10 Inch. 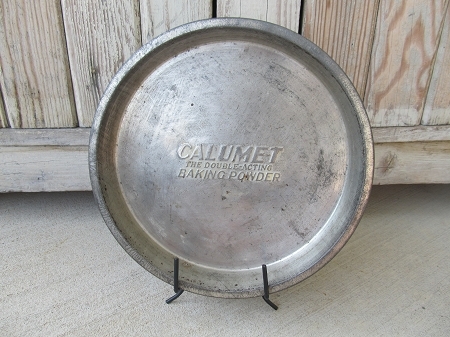 Vintage antique pie plate with imprinted advertisement of Calumet Baking Powder. A great collectible! Many uses, display a battery operated candle and decorative wreath inside. Hang on the wall with other designs of old vintage pie plates for a great farmhouse kitchen display. Size is 10 1/3" x 1 1/8".